NO NO NO NO NO!!! You pressure washer is NOT rated for hot water. You will burn out the pump in no time flat. 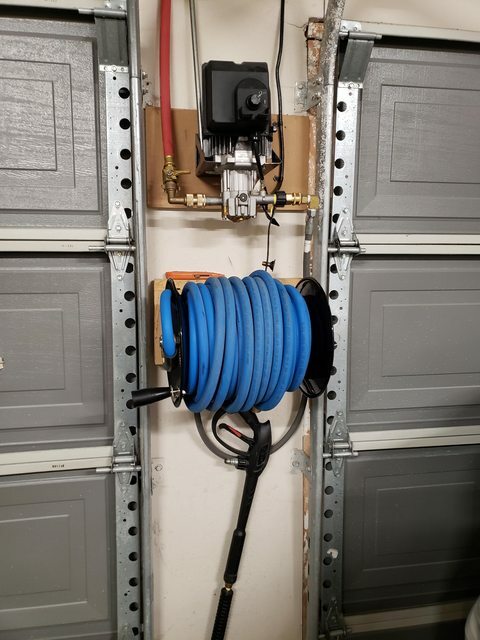 unfortunately, hot water pressure washers are very expensive. They could be very useful though. Hot water definitely cleans better. I always use hot for my buckets. If it can handle warm/hot input it should say it in the specs. A lot of on-demand water heaters have a thermostat you can adjust to that safe range. I didn't think i needed a power washer until I started reading this thread. So gasoline is the way to go and not electric? If youre going to do it, do it right! I just got this. I also have this in my garage. Its electric, only 1800psi and 2.0 gpm. But, its great for washing cars, hosing out the garage, etc. Its quite nice to walk up, unroll the hose and flick a switch to make it work. A lot less hassle than a gas powered pressure washer. I have an electric I have had for about 9 years, works great. Cheap Huffky (husky/hd) unit. Auto shut off stopped working, but it still works great. 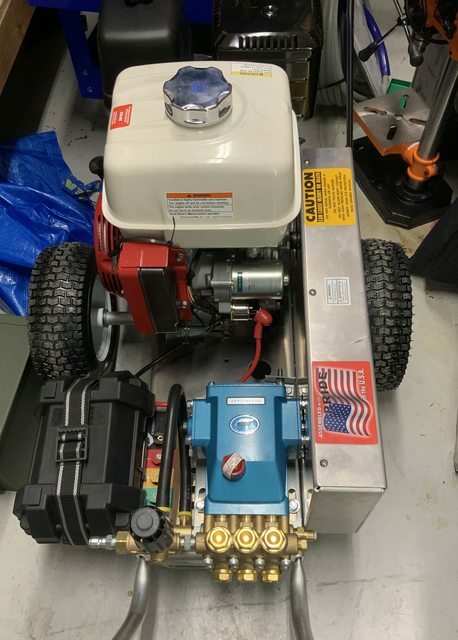 I also have a large commercial gas unit, 13hp Honda engine, AR pump. I don't use it often. Check valves are failing as the gpm requirements were too much for the previous owners well, cavitation smokes check valves, I got it used for next to nothing. With high flow units, if you starve them for water from not enough flow on input side, the check valves can fail due to actually sucking too hard and starving for water on old well systems. Had an issue with a company that takes care of a stadium in Detroit. Really long supply hoses as not a lot of water spickets, cheap small diameter hoses... Check valves would only last 1-2 months tops. Also gas units if they sit, it's just like other gas equipment, carbs get gunky etc... Eventually I will fix it. But my electric one hasn't given up the ghost yet. Gas is great if you are not near outlets.